This is the Euro 2 Pin version, suitable for use in Europe and many other countries around the world. Discounts available when you buy more than one SafeTLight. View our multi-buy and bulk order prices. Once power is cut, the re-chargeable internal battery in Safe T Light takes over. 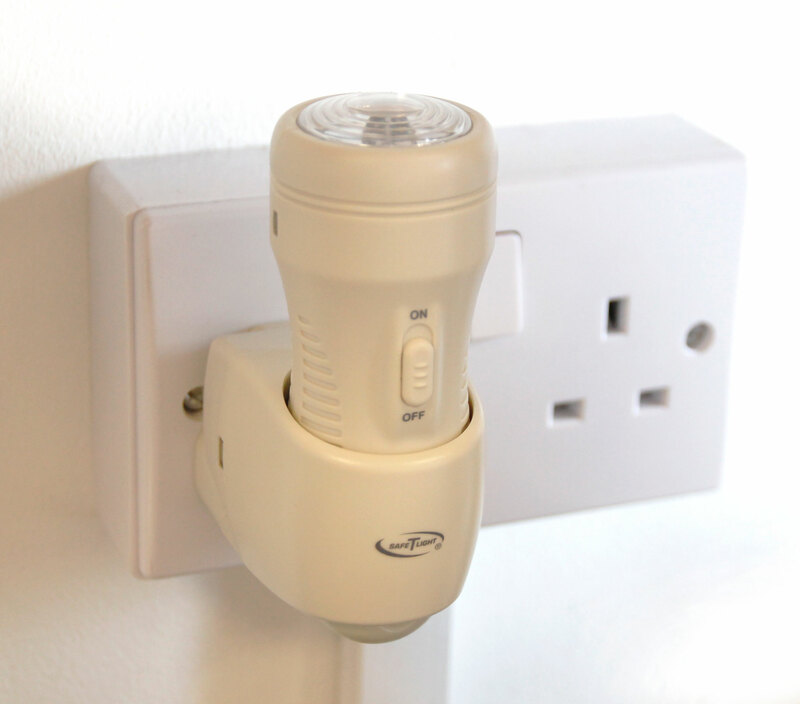 As the only light in the dark, the torch head is easily located and can then be gently pulled from the base unit. You now have a torch that will last up to 4 hours. No scrabbling around in drawers or falling on the stairs in the dark. During the night, when the SafeTLight is illuminating your stairs, hallway, landing or your bedroom, the unit is consuming less than 0.5 watt so costs less than 50 pence a year to run. This is far more economical than conventional 7 watt night lights and is due to the LED technology used.